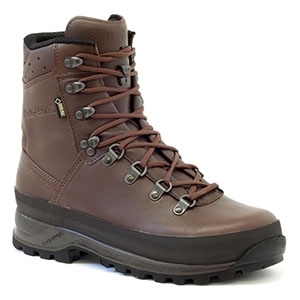 The Lowa Mountain GTX is one of the best boots for field use; tough, reliable and especially suited to those with wider than average feet - now available in MOD Brown. Widely chosen for its overall comfort, attributed to it's Achilles heel flex panel, padded tongue, dual density sole unit, padded collar and unrivalled ankle support. • Gore-Tex® for outstanding climate controlled comfort and waterproofing, coupled with a tough wear resistant Cambrelle® lining. 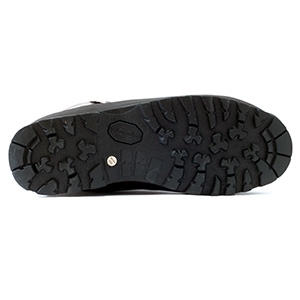 • Vibram® "Tsavo" sole unit (repairable). 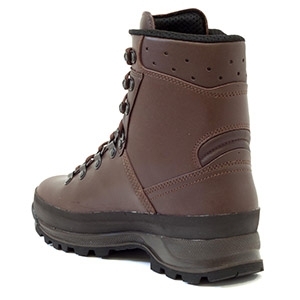 • Achilles leather flex panel in heel for extreme comfort. • Climate control system and insole.